We love doing unique, one of a kind guitars. It is why we dont charge extra fee for custom guitar. 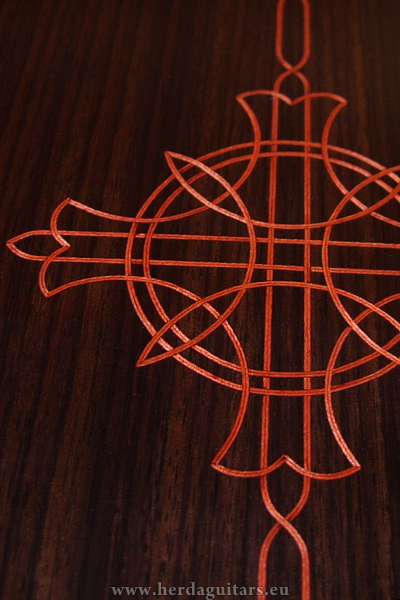 Custom models are delivered in two to five months, depending on complexity. 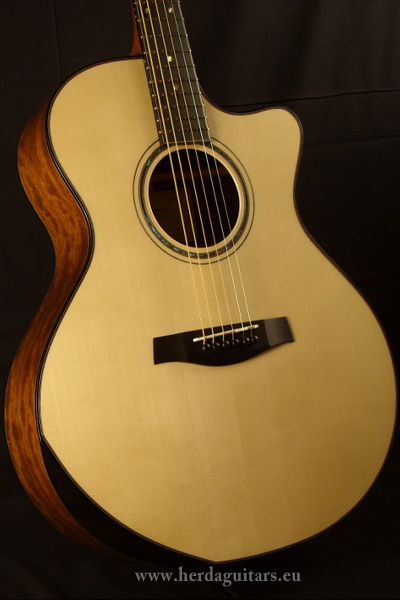 Email us to discus your custom guitar. 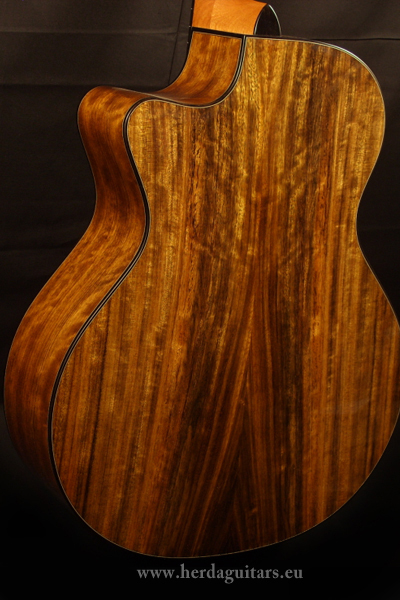 Production of beautiful custom guitar from Madagascar Rosewood and Swiss Moon Spruce is underway. Watch the production process. 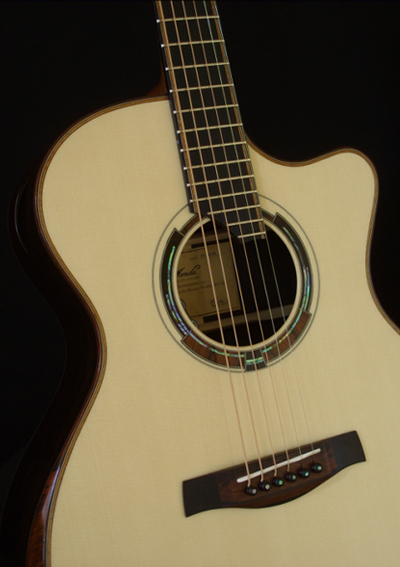 Herda acoustic guitars come in three basic shapes now - Dreadnought, Small Jumbo and Orchestra Model. Jumbo, OOO or other can be added upon your request. 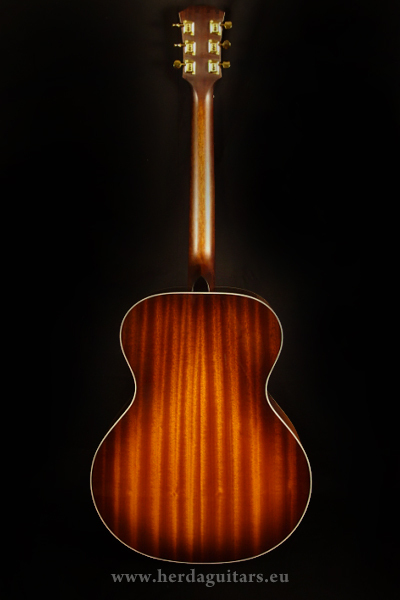 The Small Jumbo and Orchestra Model are available in non-cutaway or cutaway formats. You can consider different body depth also. Deeper body configuration maximizes internal volume, has strong bass and powerful overall tone. Shallower body is a tighter, more focused, faster, more responsive and more comfortable and ergonomic. 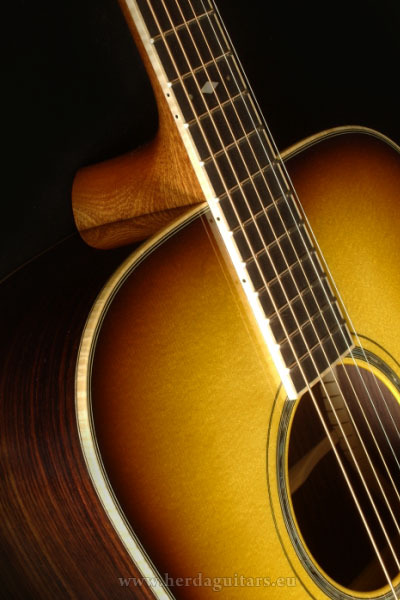 The Dreadnought is the most popular guitar shape. It provides a strong bass response because of its large and deep body. 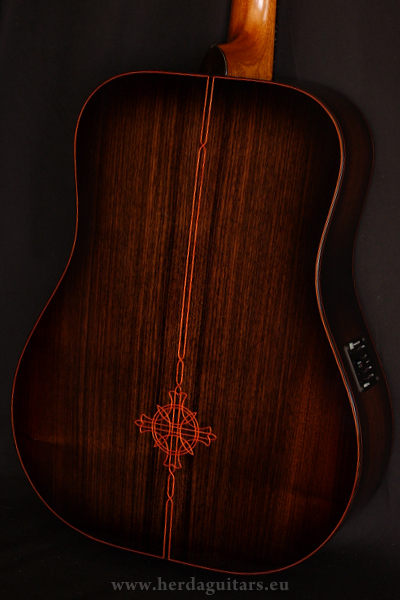 Dreadnoughts are great for folk, bluegrass, country and many other genres. The Small Jumbo is versatile instrument with a balanced sound. It is good for various types of players, traditional, folk genres, as well as more modern musical styles. OM is our smallest model. Due to its small body is very comfortable, especially while seating. OM offers note-to-note clarity, and fast response. 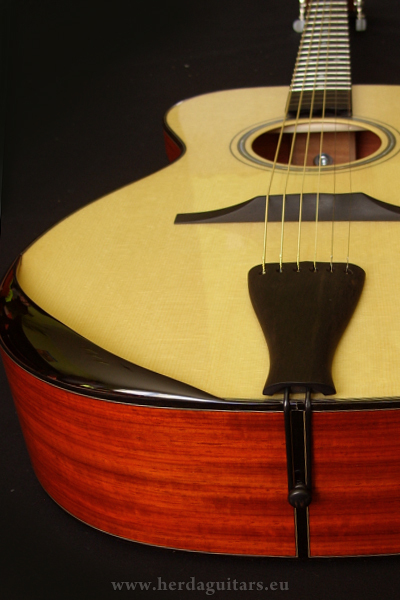 It is excellent for fingerstyle and solos. 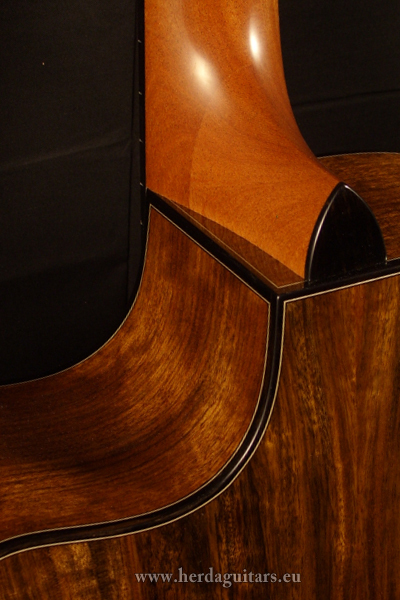 Herda guitars have traditionally neck with glued on heel in Mahogany Sapele. 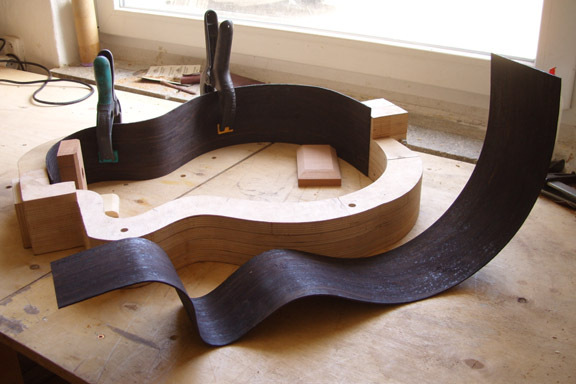 Your custom option can be for example: one-piece neck, laminated neck, pyramid volute. 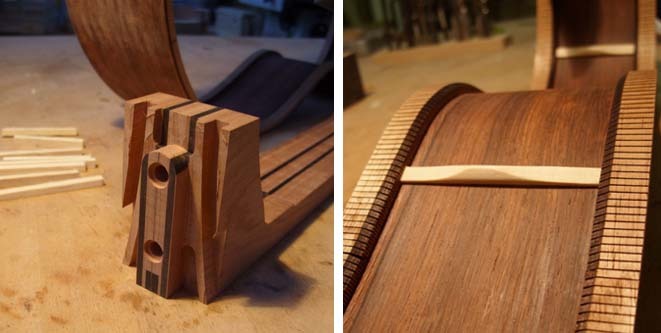 You can select nut width or string spacing at the bridge. our standard is 44 mm bone nut. Standard fretwire has a medium profile and a extra-hard rating. You can consider scale length or neckprofile also.